This sample of Network Engineer interview questions can help you evaluate and hire the best candidates with network administration skills. Feel free to modify this template to meet your company’s needs. Network Engineers design, implement and maintain the company’s network infrastructure. They support employees by ensuring network systems operations are smooth, effective and secure. During your interviews, look for candidates with a solid technical background and excellent troubleshooting skills. Qualified Network Engineers should be able to minimize malfunctions and provide solutions in a timely manner. 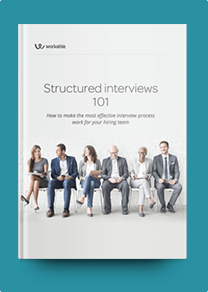 Include interview questions that test candidates’ knowledge of software and protocols that your company uses. Your ideal candidates should demonstrate an interest in industry trends. Keep an eye out for professionals who enjoy researching and using new applications to improve performance and user satisfaction. How would you connect two computers for file sharing without using a hub or router? If a website doesn’t load, how do you troubleshoot the problem? Describe common software problems that lead to network defects. How do you resolve them? What’s the use of encryption on a network? What’s the biggest engineering challenge you have faced so far? How did you handle it? How do you explain technical details to a non-technical audience? Do you prefer to write a manual or give a presentation?